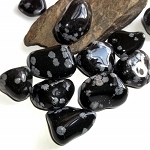 Polished black tourmaline gemstones for your rock collection. Black tourmaline is superb if you work or live in a challenging environment. 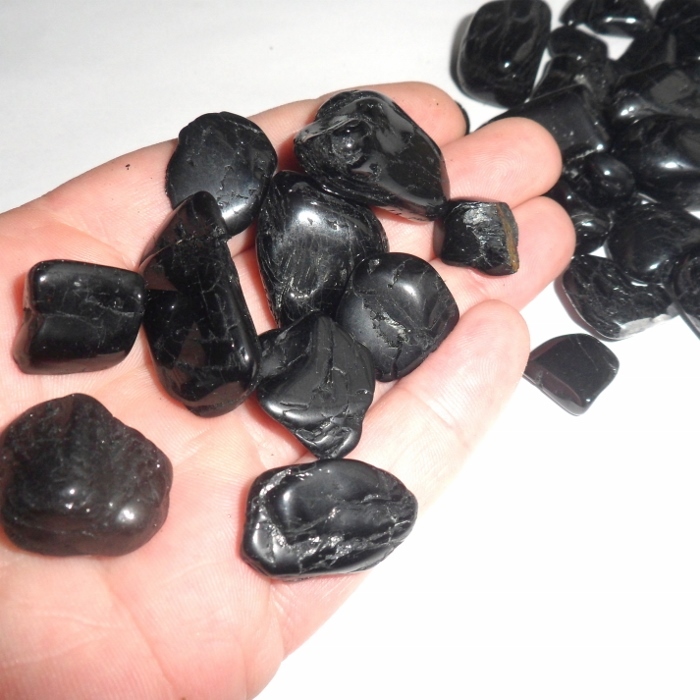 Black tourmaline cleanses negativity from the area and attracts harmony. It also helps remove toxins from your body. Black tourmaline is also known as Schorl. 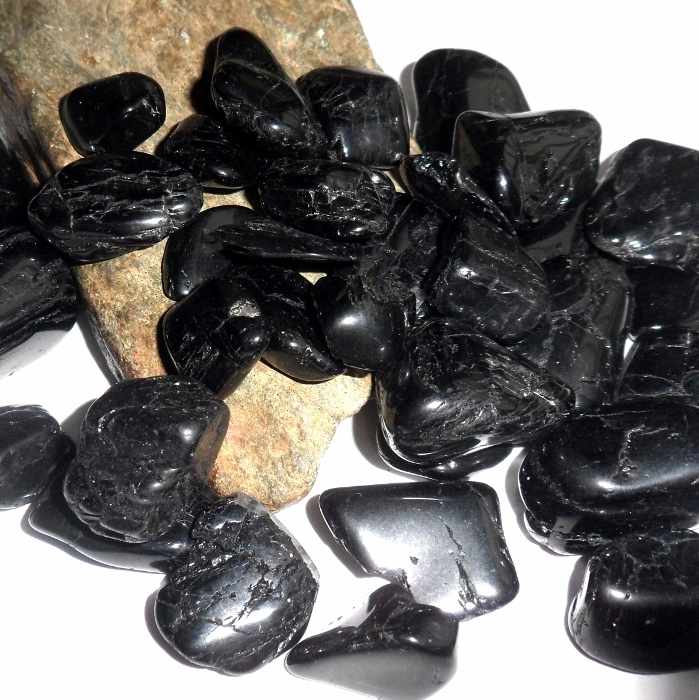 Black tourmaline protects against electromagnetic pollution, panic attacks, and surrounding negative energy. 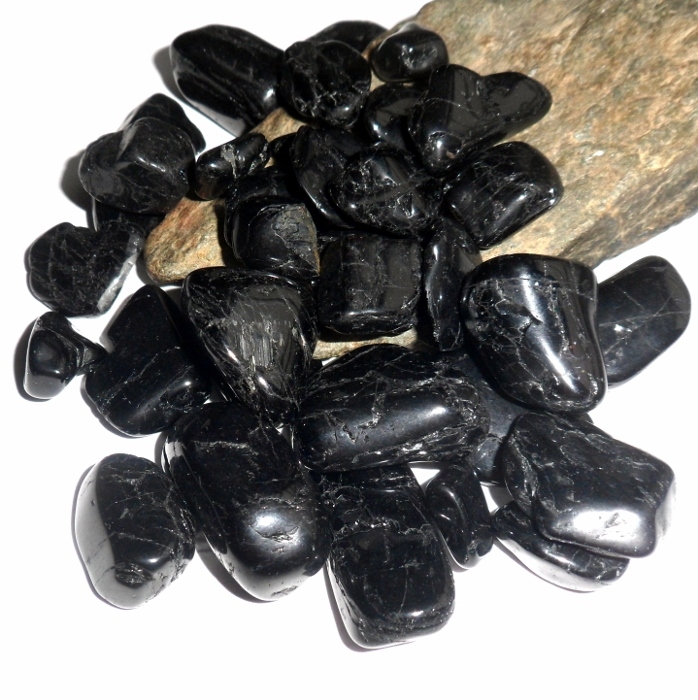 Physically, black tourmaline treats the immune system, dyslexia, arthritis, and spinal problems. Tourmaline stones range from 1 1/4 inch to 1 3/4 inches each. Price is for one tourmaline stone. This tourmaline was mined in Brazil.